With these all-new, engineered-from-scratch systems, truck owners no longer have to rely on salvage yards or internet auctions to modernize an F-100. 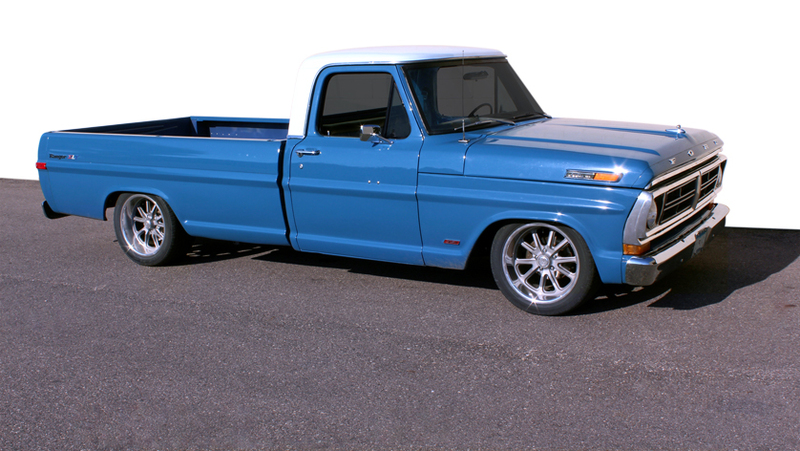 QA1 is releasing front and rear coil-over conversion systems for 1965-1972 Ford F-100s. 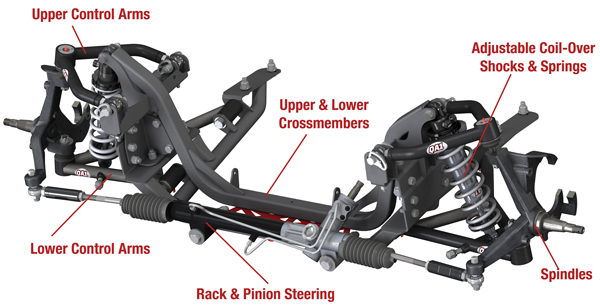 Ditch your twin I-beam front suspension for a completely new front end that has been engineered to make your truck handle while giving you the ride height adjustability to dial in the perfect stance. With a front system that’s narrower than a Crown Vic, fitment of larger wheels and tires is no longer an issue, so you can bolt in the handling and performance you’ve always wanted – and use those larger wheels and tires you’ve been eyeing. The system saves 150 lbs of weight and provides 3” to 7” of drop, depending on whether stock (3” to 5”) or drop (5” to 7”) spindles are used. 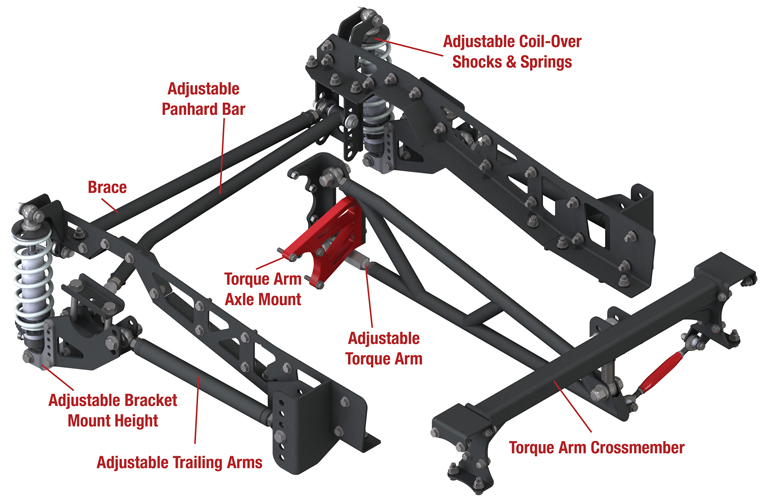 The system includes upper and lower control arms, upper and lower crossmembers, adjustable coil-over shocks and springs, rack and pinion steering, and spindles. To let you choose whichever engine you prefer, interchangeable engine mounts are available for Windsor, FE, LS, and Mod/Coyote engines. Also available are front and rear sway bars to add even more stability for aggressive handling performance. Looking to upgrade all four corners? For the F-100 rear coil-over conversion system, QA1 engineered a unique torque arm design that maximizes performance without the inherent binding issues of other systems, all while achieving a 4” to 7” drop. This bolt-in system also offers unprecedented adjustability: the panhard bar, torque arm, trailing arms, bracket mounts, and shocks are all adjustable, and they are truly independent of each other, so you don’t have to worry about one adjustment affecting another. Both systems use QA1 shocks, with the choice between our double or single adjustable shocks. All QA1 shocks are 100% dyno tested and serialized and all components are proudly made in QA1’s Lakeville, Minnesota facility.